What do we know of Deleuze’s Zen? We know of the passages in Logic of Sense, those passages where Zen practice and more specifically the koan (a puzzle without an answer) makes a momentary appearance. We know of the image of thought that Zen gave Deleuze, something intolerable: teach with a blow of the staff. Always Deleuze took one to the intolerable. Well okay not always, but that was the desire, its tendency. The intolerable is excess. Purely. Deleuze has wonderfully withering comments on the Marxist reading of the time-image. We know the reading already: its bourgeois crap. Blah, blah, blah. It’s obscurantist, apolitical, it perpetuates an illusion, it is an illusion, and hence a turn away from matterialism. But it was Gramsci and Cabral and Fanon and the Coup that brought me to marxism, which was: taking power is something very hard to do. It means one inevitably goes through phases of understanding one’s complicity to the set of sensory motor circuits whose cliche we have become. And all that we need now is to . . . find another cliche? No. It is to explore by whatever means necessary modes of arresting and counter-actualizing that cliche. Break the motor. Kill the Buddha. It’s the “same” thing. Does it increase a capacity for proliferating the intolerable? Does it release the pure resonance, the precise mixture of the intolerable? That is all. What is intolerable is not the space of a horizon, however cosmological or receding (American Science Fiction, notes Deleuze), it is to give a little time in its pure state, we need not say it again–intensive processes unfolding the fate of a resonance, love taking an inventory of its contents, and like the self in buddhism you take everything out one by one, and see what you must put back in and what you don’t need anymore to love. Deleuze, from Cinema II: “what has love become that a man or a woman should emerge from it so disabled, pitiful and suffering…?” (FTC 254) That question implies a certain commitment to give oneself to the fate of a resonance. But finally what is it that has both a connection to action and the unfolding of the madness. He can’t get his hands to stop operating the machinery, a nervous breakdown. He is cured. 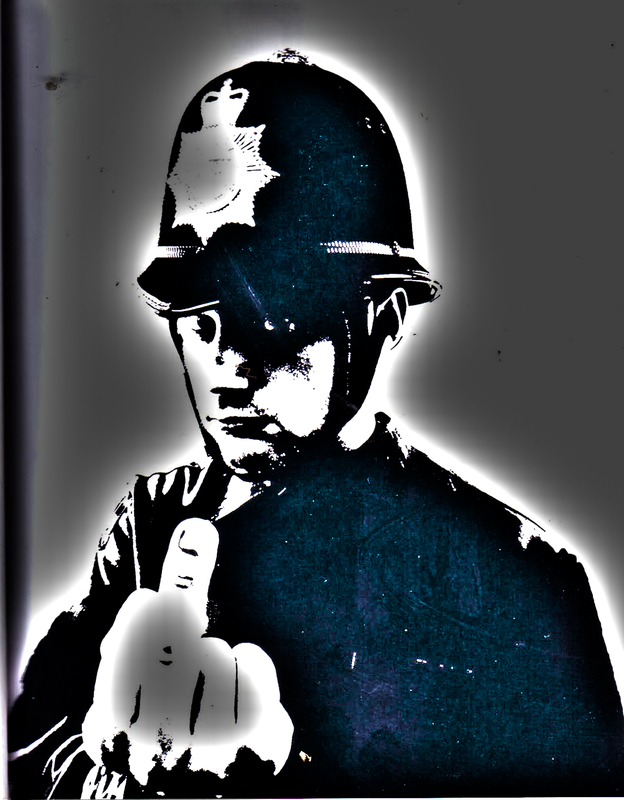 Doctor-police-foreman: Take it easy and avoid excitement. But modernity is exciting. it overwhelms in its motion, in its continuous mixtures in pure succession (what better way to understand movement than the agency of chance: he joins-leads the communists march until the police charge). Chaplin is, as Maya Deren in “Cinematography: The Creative Use of Reality” (1960) notes, archetypal. He is also the master/slave of chance, I don’t mean the dialectic, although there is that, much of that here too, but rather a player in a game of chance. That is also an element of his performance style, even at its most mechanical, because what he aimed for in his portrayal (I am not saying he did this with any intentionality–although…), a kind of breathless twirling through a sensorimotor circuit. Perhaps this turning on the needlepoint of a bifurcation, performing at the edge of a precipice, this grace of movement, is one continuous celebration or repeated falseness of the untimely. The untimely, the specific powers of its falseness is the form of what changes. Reality, or better, the real in cinema found symptomatic expression in neo-realism. Deren in “Cinematography” remarked on the authority of realism in this way: “Obviously the interest of a documentary film corresponds closely to the interest inherent in the subject matter. This popularity served to make fiction-film producers more keenly aware of the effectiveness and authority of reality, an awareness which gave rise to the ‘neo-realist’ style of film and contributed to the still growing trend toward location filming” (FTC 191). The real establishes, or should we say reactivates a sensorimotor circuit in cinema after WW II. Reality in this aesthetic imposes itself on the viewer in an unprecedented way. “The intimacy imposed upon us by the physical reality of other art works present us with alternative choices: either to identify with or to deny the experience they propose, or to withdraw altogether to a detached awareness of that reality as merely a metaphor. But the film image–whose intangible reality consists of lights and shadows beamed through the air and caught on the surface of a silver screen–comes to us as a reflection of another world. At that distance we can accept the reality of the most monumental and extreme of images, and from that perspective we can perceive and comprehend them in their full dimension. . . The invented event which is then introduced, though itself an artifice, borrows reality from the reality of the scene–from the natural blowing of the hair, the irregularity of the waves, the very texture of the stones and sand–in short, from all the uncontrolled, spontaneous elements which are the property of actuality itself. Only in photography–by the delicate manipulation which I called controlled accident–can natural phenomena be incorporated into our own creativity, to yield an image where the reality of a tree confers its truth upon the events we cause to transpire beneath it” (FTC 192). Photographic realism lends its authority of truth to the mise-en-scene of cinema, indeed to an extent it is the motor circuits of the photograph that enable narrative to proceed in the first place. But for some time now this circuit has been weakening, and today it no longer holds. We are surrounded today, as Prince pointed out more than ten years ago, by perceptually real images of unreal objects: Iron Man, Jurassic Park, Shrek: CGI. 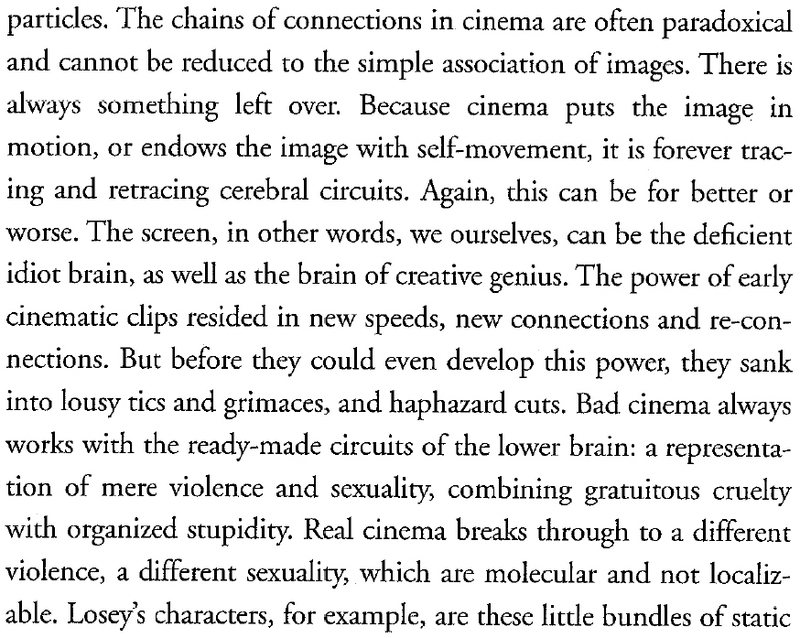 Prince goes on to argue something more radical, namely that the distinction between the indexical and the arbitrary cinematic sign (Pierce vs. Saussure–we return to these two thinkers in a subsequent post) is a false dichotomy between capturing and constructing reality. Today, the perceptual correspondence of digital images has meant a paradoxical intensification of the reality effect: No longer real, the digital image due to its textured correspondence with 3D reality comes to be perceived as more real than reality. “A perceptually realistic image is one which structurally corresponds to the viewer’s audiovisual experience of three-dimensional space. Perceptually realistic images correspond to this experience because film-makers build them to do so. Such images display a nested hierarchy of cues which organize the display of light, color, texture, movement, and sound in ways that correspond with the viewer’s own understanding of these phenomenon in daily life. . . . Because of this, unreal images may be referentially fictional but perceptually real” (Stephen Prince, “True Lies” in FTC 277). In a fine formulation, Prince goes on to note that such perceptually real images may even invoke as a “kind of memory trace” historically superseded assumptions about indexical referencing (282). The memory-correspondence circuit is a cerebral circuit, a sensorimotor circuit (passage taken from “The Brain is the Screen,” from _Two Regimes of Madness_, pp. 283-84). What are the particles of media ecologies today? What have they been across platforms, historically? Cinema repeats stimuli, and in its repetitions traces the circuit. A student in my film theory course wrote, quoting Prince: “The problem,” Prince says, “is that to specify meaning, one at times has to step outside the language system, and poststructural methodologies have been most unwilling to posit the possibility of doing this. In many accounts, one cannot get outside representation at all because it is, by definition, determinative of human thought and experience (p. 91).” However, there is no time which consists of no language and no signs. I commented: BUT TIME ITSELF HAS NO LANGUAGE. LANGUAGE IS WHAT IS DONE WITHIN A GIVEN DURATION. BUT PURE DURATION HAS NO SIGNIFICANCE. SIGNFICANCE, SENSATION, INTENSITY IS WHAT WE GIVE PURE DURATION through assemblages we form with media. In the movie A Zen Life, a sitting Suzuki, tells of a transcendental reality. The movie is explicit in giving Suzuki’s life and words a definite ethico-political tendency: anti-nationalist, anti-imperialist, pro-non-dualism. A single substance with an infinity of attributes, only two of which we can know, extensity and thought, but Spinoza too as Bergson reminds us reduces time to space in some fundamental ways. And Suzuki is no Spinozan. One of his hagiographers in the movie describes him as a man behind a tapestry, knitting a thread across a pattern that is one and repetitive, and all we can see is the occasional thread with needle. But the pattern remains obscure to us. Deleuze’s transcendental empiricism offers a method, not for enlightenment, which finally is what Zen is, even though enlightenment is defined quite explicitly as an impossibility. Sudden englightenment happens in repetitions differentiating. But then it is nothing special, nothing that is sudden, but ever unfolding, pure succession that passes through imperceptible steps on it way through the tendency of its becoming (Bergson). Zen is one continuous mistake, an endless negation that becomes an affirmation after and in practice. *Braudy, Leo and Cohen, M. eds. Film Theory and Criticism, 6th Edition (New York: Oxford University Press, 2004). Hereafter FTC.